> In the course of the proceeding, it transpired that the Ministry of Transport, Communications and High Technologies (MTCHT) had restricted access to the websites solely based on evidence submitted by the Prosecutor General’s Office, without conducting its own investigation. On 1 May, Sabail District Court continued the judicial proceedings on the application of the Electronic Security Centre (ESC) under the Ministry of Transport, Communications and High Technologies (MTCHT) seeking to block several websites in the territory of Azerbaijan. ESC has appealed to the court to block azadliq.info, azadliq.org, azerbaycansaati.com and meydan.tv, as well as the Turan television channel (Turan TV) and the Azerbaijani Hour television programs. 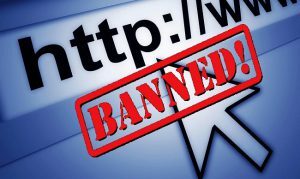 The prosecutor’s office appealed to the Ministry to take measures against the above-mentioned websites and attached articles published on the websites. The MTCHT, in turn, took the decision to block the websites, and head of ESC Faig Farmanov appealed to the court to officialise the decision. At the hearing chaired by Judge Nuraddin Bagirov, Radio Azadliq’s (Liberty’s) website azadlig.org was represented by lawyer Adil Ismayilov, Azadliq newspaper’s site azadliq.info by Samad Rahimli and Javad Javadov, and Meydan.tv by Elchin Sadigov. In the capacity of the applicant, both MTCHT’s and ESC’s representatives attended. The judge noted that he would first consider the issue of replacing the actual applicant with the authentic applicant. He noted that since the legislation granted authority to restrict access to websites belonged to the MTCHT, it was the MTCHT which was to be represented as the applicant, not the ESC. As none of the parties disagreed, the MTCHT was recognised as the applicant. MTCHT representative Bakhtiyar Mammadli made a speech, and noted that, on 27 March, Prosecutor General Zakir Garalov appealed to the Ministry and asked it to take measures against the above-mentioned websites as they had been found to have taken a destructive approach aimed at forcible change of the constitutional structure of Azerbaijan Republic and social destabilisation, to have made public appeals for mass riots, to have advocated for illegal activities of radical religious organisations and to have done other illegal acts in gross violation of the requirements of the Law on Information, Informatisation and Protection of Information on a regular basis. “The Ministry examined the appeal of the Prosecutor’s Office, and having deemed the appeal justified, restricted access to those websites,” the representative said. Lawyer Adil Ismayilov noted that, according to the requirements of the law, the media outlets should have been warned to remove the information deemed harmful and blocked only if they ignored the warning. The Ministry’s representative replied that the legislation provided for a straightaway blockage of websites without warning in the event of a threat to human life and state security. However, he could not explain what constituted the threat in the information in question. He served the parties with the extracts from the websites submitted to the Ministry as evidence by the Prosecutor General’s Office. Adil Ismayilov remarked that the documents did not specify which article by Radio Azadliq had been deemed illegal or substantiate which legal provision it fell within the scope of. “I do not understand whether the intention is to close Radio Azadliq or to follow the requirements of the law. If your requirements are complied with, do you guarantee that the website will continue its activity without restriction,” he asked. It turned out that, the news reports about the rise in the number of suicides in the country, the difficult socio-economic situation, and the National Council’s rally plans were deemed to be harmful content. Also, the majority of the articles presented to the court are those where the President is criticised and which had been published by foreign media before being translated into Azerbaijani and posted on the website with a reference. Being asked why such a conclusion had been drawn from those articles, the MTCHT representative said such had been the conclusion of the prosecutor’s office and they had deemed it justified, but they had appealed to court without further investigation and based on those documents alone. Adil Ismayilov objected to this fact. “You had the authority to respond to the prosecutor’s appeal with a ‘no’. The prosecutor’s office sends any criminal case to the court for consideration and the court decides that case. The prosecutor’s assertion is not an immaculate sacred text, after all. Your agency is the decision-maker here. This responsibility has been given to you under the law approved by the President. Then why did you not conduct your own investigation? You know that Radio Azadliq (Liberty) is a media organisation of the US State Department, and relations with this media outlet may have an impact on inter-state relations as well,” Ismayilov said. The representative reiterated that they deemed the document submitted by the Prosecutor’s Office to be well-grounded. The lawyers then lodged a motion to leave the application unexamined. Their justification was the fact that on the date of submission of the application, on 5 April, the procedure of its filing, i.e. special proceeding or civil claim, was not yet established in the legislation, whereas the MTCHT had appealed to the court under the procedure of special proceeding though it was not provided for. The MTCHT representative objected to the motion. The court denied the motion as unfounded. After that, the court continued to investigate the materials published by Radio Azadliq. The lawyer said the opinions referred to as evidence belonged to separate individuals, and the Radio had published them with reference. He added that the Criminal Code has specific articles concerning appeals for illegal mass protests or violent coup or other cases envisaged by law. “If such an unlawful event was the case, the prosecutor’s office was entitled to launch a criminal case,” the lawyer argued. Lawyer Javad Javadov asked whether there were linguistic experts in the MTCHT or the ESC. The representative said there was none. Javadov went on to file a motion to appoint a linguistic expert review regarding the articles presented by the prosecutor’s office as evidence and to involve the prosecutor’s office in the proceedings as the third party. “They say they have taken the letter of the prosecutor’s office as a basis without conducting any investigation on their own. Whatever we are asking them now, they say it is all up to the prosecutor’s office. Therefore, we ask that the prosecutor’s office be also involved so that they answer our questions,” the lawyer said. The judge said the motion would be considered at the next court hearing on 3 May. Background: The provision on websites’ blockage by a state agency has been recently introduced to the legislation. Milli Meclis (Parliament) made an addition to the Law on Information, Informatisation and Protection of Information in this respect, on 10 March. In particular, where the relevant executive authority directly detects publication of information banned from dissemination on an internet information resource or determines it based on substantiated reports received from individuals, legal entities or state agencies, it must warn the owner of the internet information resource or its domain name or host provider in writing. Unless the prohibited information is removed from the internet information resource within 8 hours of warning, the relevant executive authority shall appeal to the court of the district (city), where it is located, to restrict access to the internet information resource. In cases of urgency where there is a threat for the interests of the state or society protected by law or a real danger for the life and health of people, access to the internet information resource shall be temporarily restricted based on the decision of the relevant executive authority. At the same time of adopting the specified decision, the relevant executive authority shall also appeal to the court to restrict access to the internet information resource. The decision on the temporary restriction of access to the internet information resource shall remain in force until the appeal for restriction of access to the internet information resource is considered or the decision is overturned by the court. The court shall consider the appeal to restrict access to the internet information resource within 5 days and make a decision. The decision shall become effective immediately after its adoption and an appeal filed against the decision shall not suspend its enforcement.